A great new product for roll-bar mounting your Switch Panel in Door Cars or Altered's. 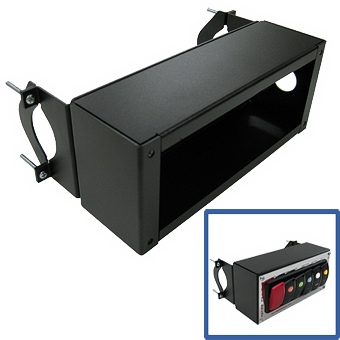 The Mounting Enclosure is specifically designed for the Switch Panel ensuring a perfect fit. Powder coated in black, the Roll Bar Mount comes with all the necessary tools and hardware for installation.